Alien Explorations: Giger's Stillbirth Machine III (1977) inspired by Fuchs "Samson finds the carcass of the lion (1961) etc...? 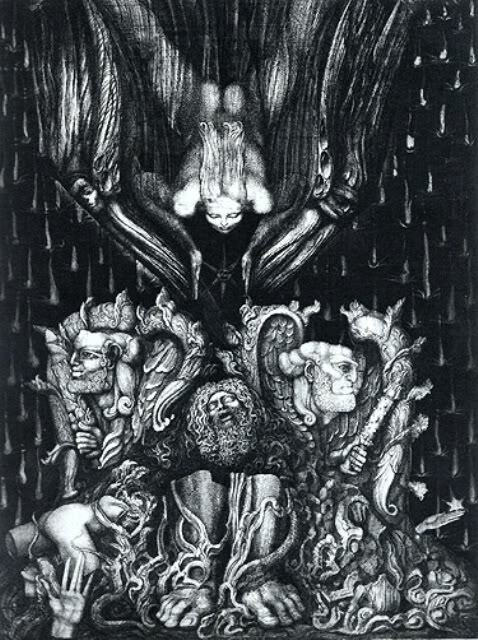 Giger's Stillbirth Machine III (1977) inspired by Fuchs "Samson finds the carcass of the lion (1961) etc...? 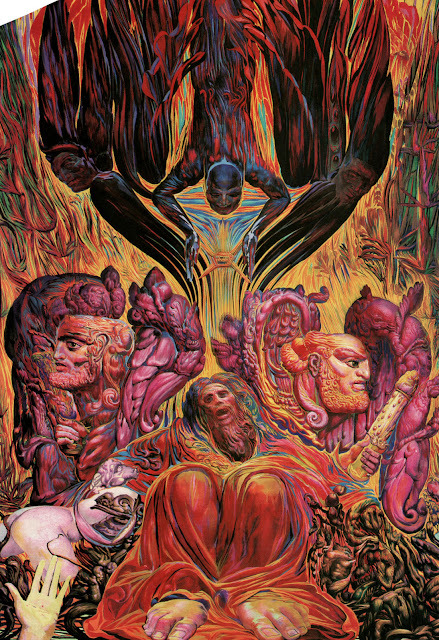 Giger's Stillbirth Machine bears similarities to Ernst Fuchs "Samson finds the carcass of the lion" from 1961. What there is to point out here that we have a series of vertical phallic prongs like some sort of a candelabra. 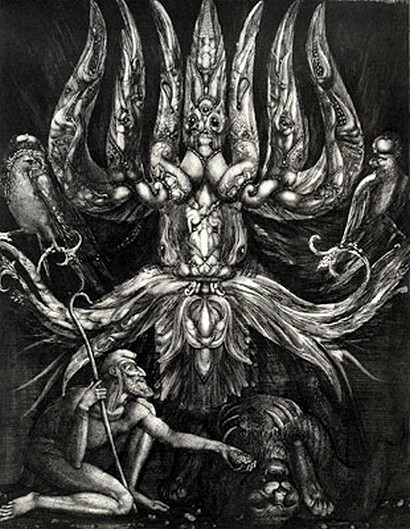 b) Comparison's to "Adam's Destruction and Promise"
Ernst Fuchs "Adam's destruction and promise"
Ernst Fuchs "Adam's destruction and promise", Giger's Stillbirth Machine III and Fuchs "Samson finds the carcass of the lion"
c) Another version of "Adam's Destruction and Promise"